Burn disc image allows you to burn a ISO or IMG file to a DVD as a bootable DVD. This tutorial will show you how to add or remove the Burn disc image context menu from ISO and IMG files for all users in Windows 10. You must be signed in as an administrator to be able to add or remove the Burn disc image context menu. These reg-keys are not present on my Win10 1809 , this contextmenu-item remains present , after removing also............! What file type are you right clicking on that still shows the "Burn disc image" context menu after merging the Remove_Burn_disc_image_context_menu_for_ISO_IMG.reg file from step 3? It should remove the context menu immediately for .iso and .img file types. 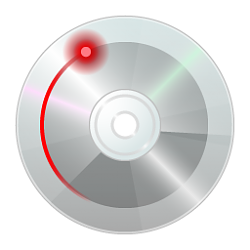 "Burn to disc" is a separate context menu than this "Burn disc image" context menu. "Burn to disc" is not affected by this tutorial, but the tutorial below should disable and remove it. Again thanks a lot , this enable/disable ( from Win7/8) did the job !